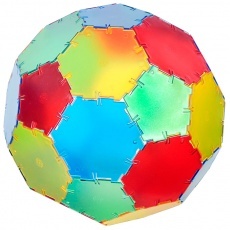 Translucent Polydron is designed to be used on lightboxes. 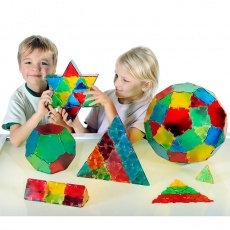 The translucent nature of the pieces will allow children to see inside solid structures and begin to understand the shape and space within. 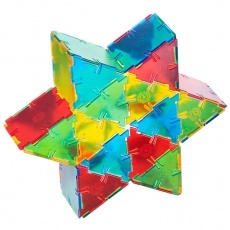 It is ideal when used on a light box so that the bright colours really come alive. 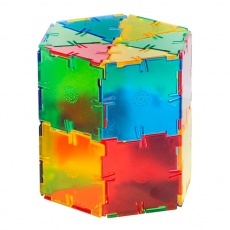 Pieces are made from super tough engineering plastic, which is extremely durable. We have put together 2 great sets to accommodate large groups of children constructing models together at the same time. 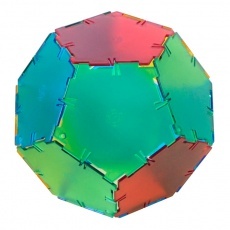 Translucent Polydron has been designed to be compatible with original Polydron pieces, Polydron New Colours and Polydron Frameworks. 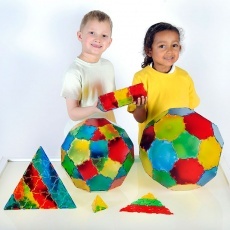 Each set contains pieces of Polydron Frameworks to allow the easy completion of 3D models. Each square piece measures 7.5 x 7.5cm.